Spider-man has been my favorite hero since I was a young boy. The story of great power coming with great responsibility has always resonated with me, and has made me a lifelong fan of The Amazing Spider-man (and even the Superior Spider-Man). My love of Spider-man is what makes playing The Amazing Spider-Man 2 even harder. I’ve seen good Spidey games before with Web of Shadows, and of course the beloved Spider-Man 2, so making an atleast solid Spider-Man game can’t be that hard. Apparently for developer Beenox it is. What we should have gotten from this game was a fun, open world New York romp that tells a fun side-story in the movie universe. Instead we get a jumbled mess, with nausea inducing camera work, and just plain pathetic presentation. 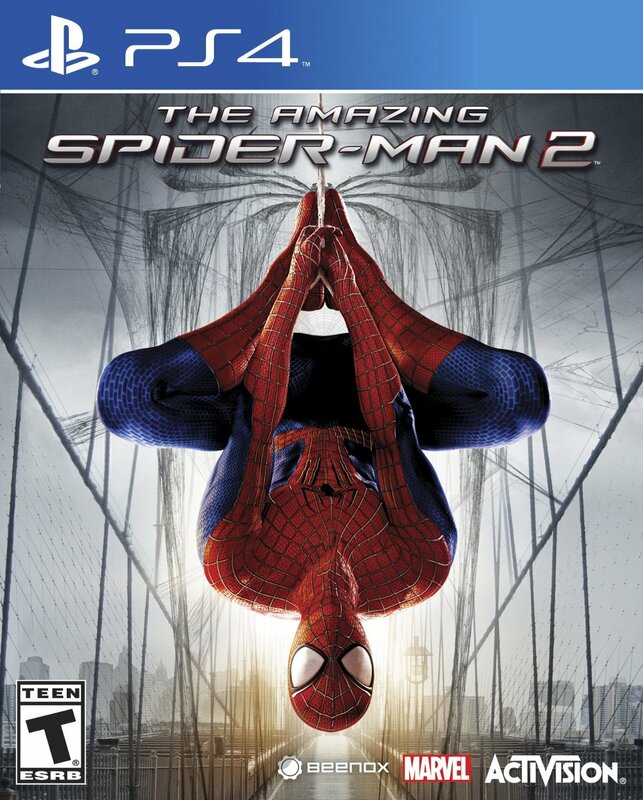 Amazing Spider-Man 2 The Game is set in-between the first and second film in the Amazing Spider-man series, or at least that’s what it claims. Or maybe not, because the timelines do not match up at all. 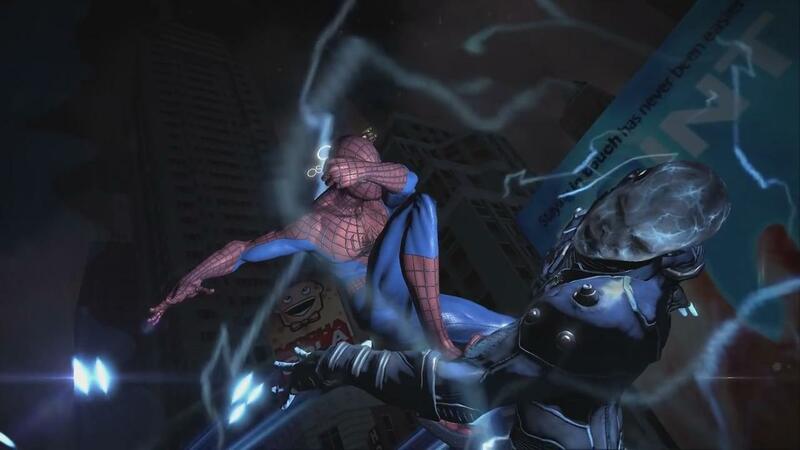 The first run in between Spidey and Max Dillion (aka Electro) appears in the film, but it then happens about 20 minutes into the game. From there, the timelines get even wackier as you meet Harry Osborn for the first time since you were kids, which also supposedly happens early in the film. See how very little of this makes any freaking sense? If they wanted to make their own story, then they should have done it, but instead those chose to tell a mess of a story that just feels lazy. The story for most of the game is focused on Spider-Man trying to stop the rise of Wilson Fisk (The Kingpin) as gang wars escalate all over the city. About 2/3rds of the way through the game though, that story is thrown out the window and you fight a who’s who Spider-Man villains whose pure existence in this timeline makes no freaking sense. For example, fighting Electro before the film couldn’t happen, as his transformation happens in the film. I’d be willing to forgive them if these boss fights were well presented or fun, but they are pretty awful. Beenox could have told a more grounded tale of Spider-man versus more street level villains like Kingpin, Hammerhead, and Kraven the Hunter, but through either upper management pressure or just plain idiocy made the final few hours of the game a jumbled mess. ASM 2’s web-swinging and traversal should be fun, but is a nausea inducing snore-fest. One of the biggest things about Spider-man that a developer needs to get right is the web swinging. 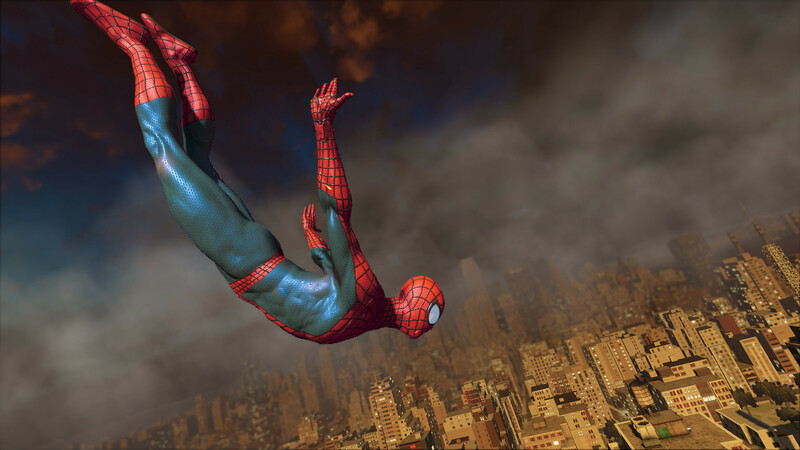 The feeling of swinging around New York City is something that only Spidey can do. Plenty of other Spider-man games have gotten it right, but Beenox has never really been able to, seeming to prefer their Spider-man games focused into smaller arena like areas instead of the open world. Their first foray in the first Amazing Spider-man game was hardly impressive with their heavily touted web rush mechanic failing to capture the real feel of Spider-man. For the sequel, they promised a bigger focus on that for the web swinging, but it ultimately seems this was all hype. ASM 2’s web swinging is just not on par with previous games. Maybe it’s the silly need to use both triggers, maybe it’s the still forced use of web rush, or maybe it’s the way the game becomes incredibly blurry whenever you swing (that made me feel like I was gonna throw up more then a few times), but it just doesn’t work well. Add on top of that that the web rush mechanic still doesn’t work well, you find navigation around their poorly represented version of New York to be a chore. New York City should be a playground for Spider-man to play in. The buildings should provide fun places that Spider-man can run, climb, and swing on and the streets should be filled with interesting characters. On top of that, there should be a natural ebb and flow to the way the game’s side missions arise. Did you notice that I used the word “should” a lot in the last few sentences? Because ASM 2’s New York does few little of any of that. Where New York should feel like a massive area, it feels tiny and boring in this game. The buildings do not have sense of height, as I was nearly always above all of the buildings (which then forced me to use the web rush mechanic which slows down the game). The game’s missions also often drop you near Central Park, which negates really all web swinging. Electro’s appearance in ASM2 the game makes no sense, given the game’s timeline. On top of that, the game’s side missions are all incredibly linear that have Spider-man doing tasks like stop a bomb, or save people from a fire. These should be fun, but each feel boring, and like a copy of the one I just did. Oh, and if you don’t want to do the missions, you will have a “taskforce” hunting you for not doing them. Beenox creates horribly boring missions, and then forces you to do them, if you don’t want your normal time playing the game interfered with. Just let that sink in. I feel like when this game was in development, Activision saw the success of the Batman: Arkham games and said “Hey, they’re doing stuff well there and people like it. Do exactly what they’re doing.” With Amazing Spider-man 2 instead of seeing Spider-man fight enemies across rooftops and while flying through New York, you are dropped into small combat areas and expected to fight in a stealthy manner that feels directly stolen from Arkham. Spider-man is generally not a stealthy character, and certainly not to the levels that Batman is. Beenox seems to not realize that, nor what makes the characters fighting style so special, as you have to use stealth takedowns that just have to lowering from the ceiling as though you are Batman. Very rarely will you fight characters who force you into the air, but when you do the game’s web rush system for combat works tremendously. Unfortunately, those moments are few and far between. On top of that, the game’s boss fights often just have Peter beating up a character using normal moves for about five minutes. It all just feels lazy. Alli Hillis does a decent job as Black Cat, but Sam Riegel’s Spider-man doesn’t fair as well. Laziness fed into the game’s voice acting as well, with so many of the performances being just plain bad. Sam Riegel reprised his role as Peter Parker from the first ASM game, and he still feels completely out of place of the Web-head. Maybe it’s just the poor writing, but goodness gracious I never believed he was Spider-man. Actors like Josh Keaton, Mike Vaughn, and even Neil Patrick Harris have all been believable as Spider-man because they didn’t feel forced or lazy while recording it. Riegel on the other hand has been given an awful script, so his enthusiasm for the role feels forced. His quips, which are a staple of Spidey, are all awful and their constant appearance made me hate them 20 minutes into the game. Some of the game’s other voice actors like Ali Hillis and Steve Blum do well in their roles, but you can’t act your way out of a bad script. Thankfully, at least the game’s sound effects are well done, and the score is serviceable. I played this game on a PS4, but honestly had to check quite a few times, as the graphics felt like I was playing on an Xbox 360 and it was 2008. The world is undetailed, there are graphical hiccups nearly everywhere, and it just looks plain meh. I understand that it was a cross-platform game, but it’s bad by 360 and PS3 standards. An open world game should have decent draw distances, but what they have just looks bad. One big positive for the game is the people at Beenox love of the character. I know that’s hard to believe after how much I’ve ripped the game, but the inclusion of hundreds of easter eggs from the characters comic history makes me feel like someone at that place still love Spidey. Including nods to Alpha, Scarlett Spider-man, Superior Spider-man, and so much more had me actually believing that Beenox does love Spider-man. On top of that, the inclusion of Stan Lee as a kindly comic shop owner was a great touch. Beenox should probably never make another Spider-man game again. Amazing Spider-man 2 had so much potential. 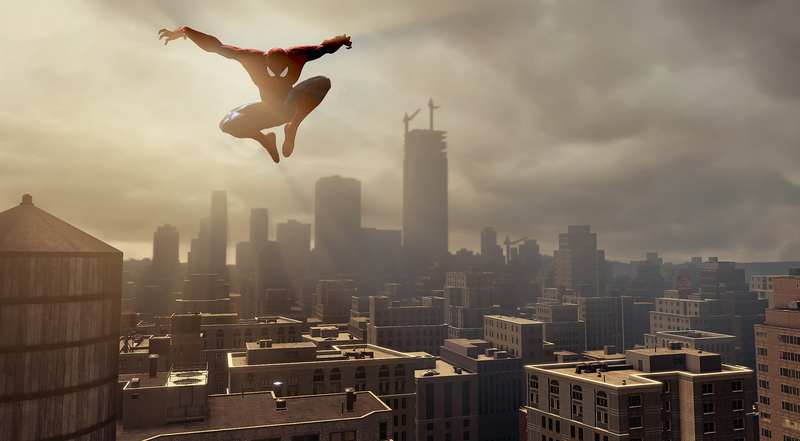 It was a return to the open world that Spider-man fans love, with a heavily touted upgrade to its web swinging mechanics, and a story that was supposed to be free from the movies. What we got instead was what can be best called Amazing Spider-man 2: Arkham New York. Beenox tried so hard to capture what made the Arkham series great and just reskin Batman as Spider-man. Obviously what works for one character and universe doesn’t work for one like Spidey. Add on top of that, nausea inducing combat and web swinging, poor writing, voice acting, and a story that doesn’t even make sense for the game’s supposed timeline and we have a just plain bad game. If you need a super hero game, go play Infamous: Second Son. If you need a Spider-man game, buy Web of Shadows of previous gen, just don’t buy this game. Full Disclosure: As I stated above, I didn’t finish this game as I just couldn’t bring myself to. I played it for about seven hours, and according to others I still have about two to go. I purchased my copy from Target, and played in on PS4. Update 5-16-14: I completed the game, it only reinforced my score. This entry was posted in Gaming and tagged Activision, Amazing Spider-Man, ASM 2, Beenox, Spider-man, Spiderman, The Amazing Spider-man 2 on May 11, 2014 by leagueofmediocregamers.